Prototyping in porcelain is much more tricky and heartbreaking than well-behaved materials like wood and metal. Many failures and "happy accidents" occurred while developing this set. One such failure, a pitcher that collapsed during the moulding process, came out nicer than the original, undeformed design and is now in production. The pitcher has a slender slit for a spout that creates the effect of water springing from a crack in a rock. 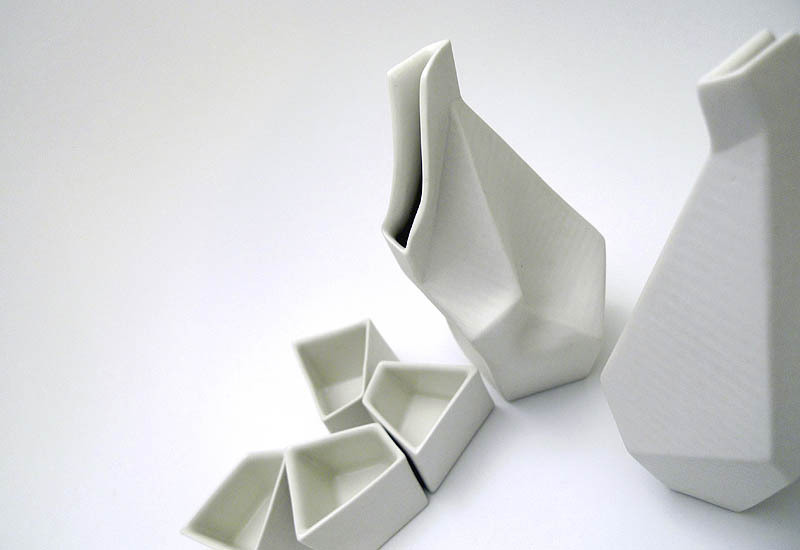 The matching cups can be arranged in groups of 3, 4 or 5, for sharing sake in social settings.